Many people say that green tea is good for health and is believed that it helps in attaining weight loss. When taken regularly green tea also offers many other health benefits. This tasty beverage contains a potent nutrient called as EGCG or epigallocatechin gallate. Green tea has originated in China and it is being used as a medicine ever since. This flavorsome beverage is extensively used all over Asia. It benefits of this beverage ranges right from lowering your (BP) blood pressure to cancer prevention. 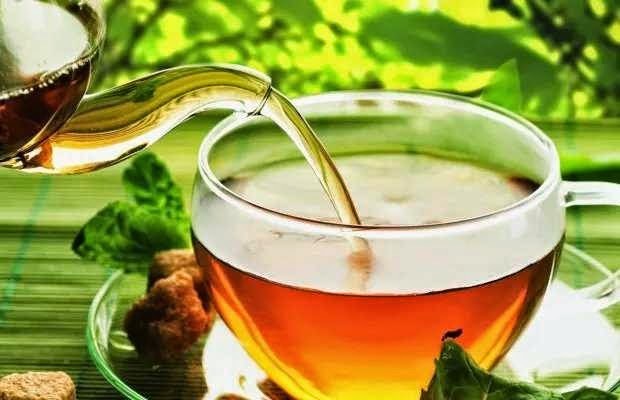 Since the fermentation process is avoided in the green tea, it provides more health benefits compared to black tea, thus retaining high amount of poly-phenols and antioxidants and other useful substances. Green tea helps you lose weight by increasing the metabolism. High amounts of poly-phenols present in green tea increases fat oxidation levels and also intensify the rate of burning food into calories. After your meal, green tea slows your blood sugar by regulating glucose levels. This beverage prevents high insulin levels and the resulting fat deposits. Green tea helps you stay relaxed and also helps you withstand the blood pleasure changes and works on the lining your blood vessels. It prevents clots formation, which is the main cause of heart strokes / attacks. Green tea apparently kills cancer causing cells without damaging healthy tissues that are surrounding the cancer cells and reduces the risk of esophageal cancer. It helps in delaying the deterioration caused by Parkinson’s and Alzheimer’s. It also protects brain cells from dying and restores brain cells that are damaged. The antioxidants like “catechin” present in green tea, destroys viruses and bacteria that cause infections in throat, dental caries and other tooth conditions. Consuming green tea on a regular basis will diminish the risk of high BP or blood pressure. Amino acids such as “Theanine”, which is present green tea leaves, provides a soothing and relaxing effect and helps you, get rid of stress or depression. Strong antiviral and antibacterial agents present in green tea are an efficient treatment for many health conditions ranging from common flu to cancer. It also slows down the spread of various diseases. Green tea protects you skin and prevents it from various signs of aging including wrinkles. The antioxidant and anti-inflammatory properties help you in achieving skin care. When applied topically, it helps in reducing the damage caused by sun. Green tea can be taken in any form; say you may try iced, hot, by adding natural herbs or dab of lemon juice. In whatever form you may consume, you can reap the full benefits of it. It is recommended to have 2 to 3 cups of it daily. Since it doesn’t contain much caffeine, it is not harmful.